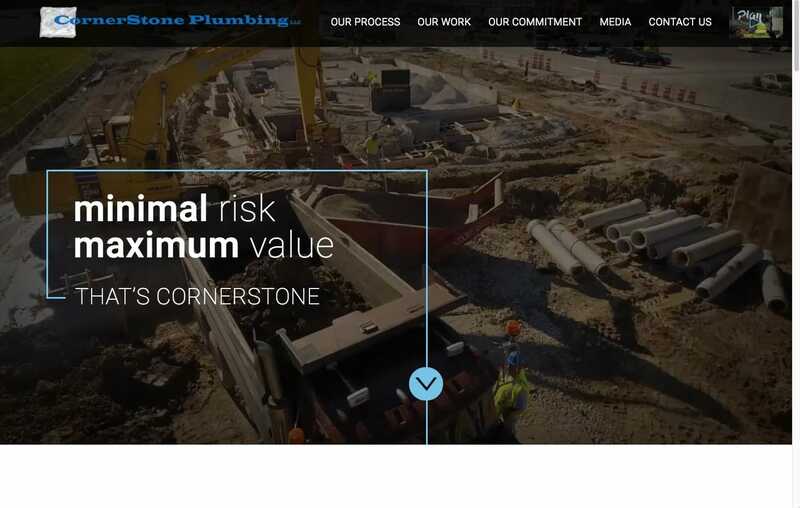 CornerStone Plumbing, one of the region’s fastest-growing plumbing contractors, made a decision to move away from its combined commercial/residential model and to focus and build the commercial side of its business. 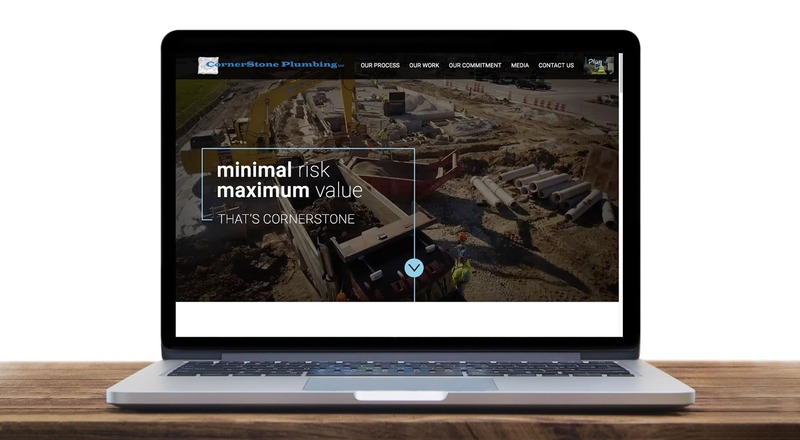 CornerStone turned to C-22 to help retool its brand to reflect its position as a leading commercial contractor. Brand retooling means new logo, right? Wrong. 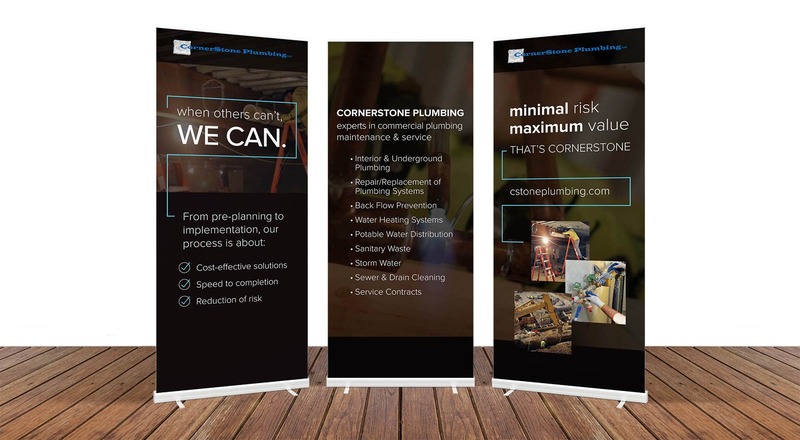 CornerStone had significant investment in signage and equipment lettering, so changing the logo and company colors were not options. 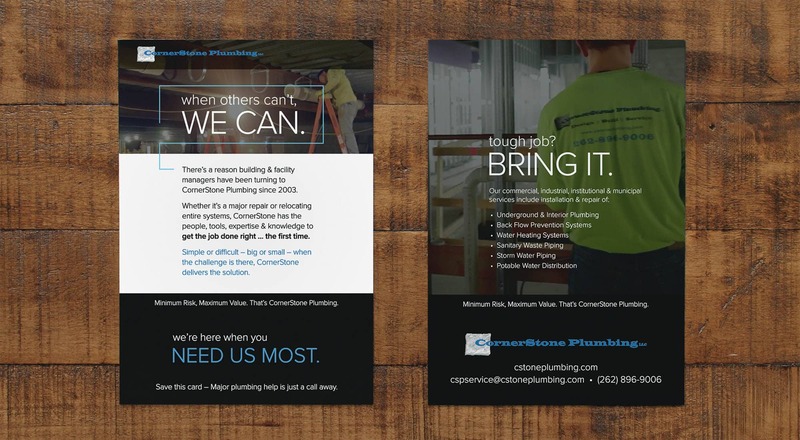 That’s OK, we responded developing a bold, yet clean, look and messaging that we applied to a new website, tradeshow banners, printed promotional materials and direct-to-desktop promotions.